We had friends aboard for dinner the other night and I did a two course Asian meal. We had a nice prawn and fish curry for mains but the dish of the night was the Thai Lemongrass Fish soup that I made for a starter. I have a bit of an addiction to lemongrass lately can’t get enough. To the point I am now growing my own on the boat, along with three types of chilli. 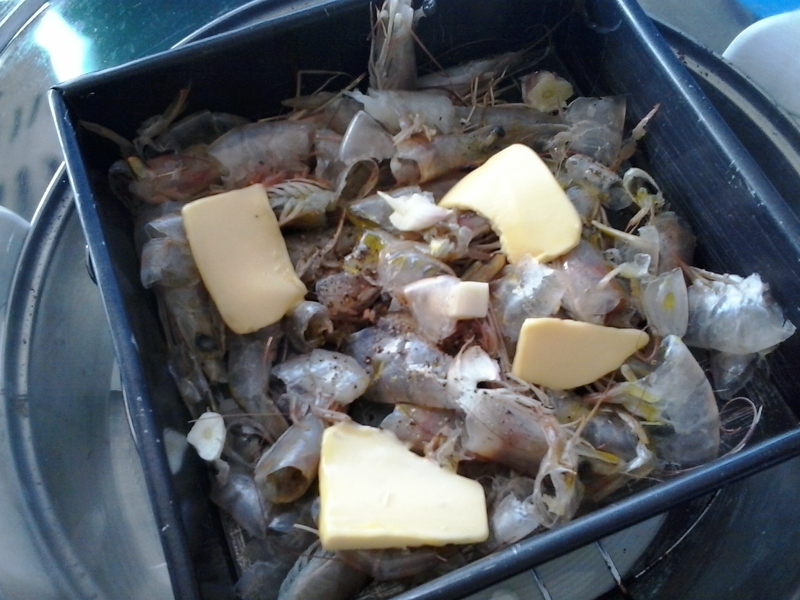 I made a stock by roasting the prawn shells to make a base for the soup. 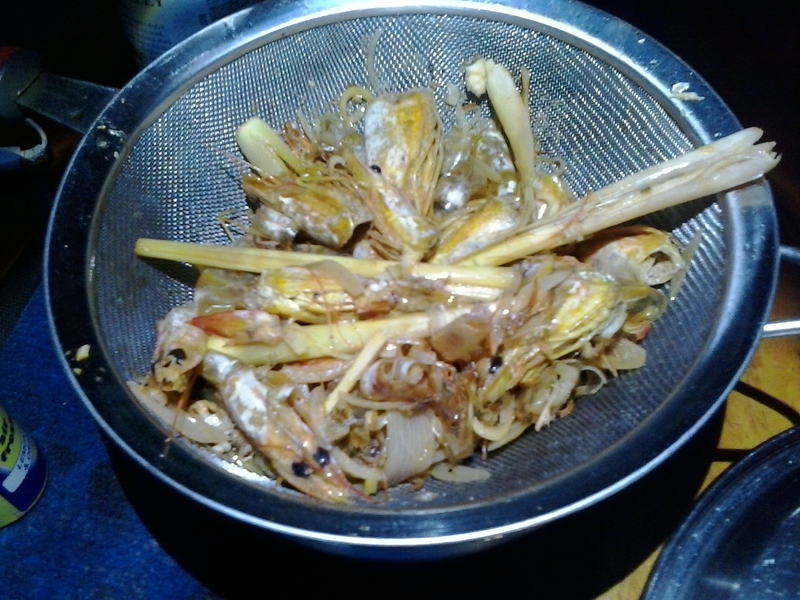 Lots of lemongrass some ginger and garlic, chilli, fish sauce, soy, limejuice and zest, water and S&P. 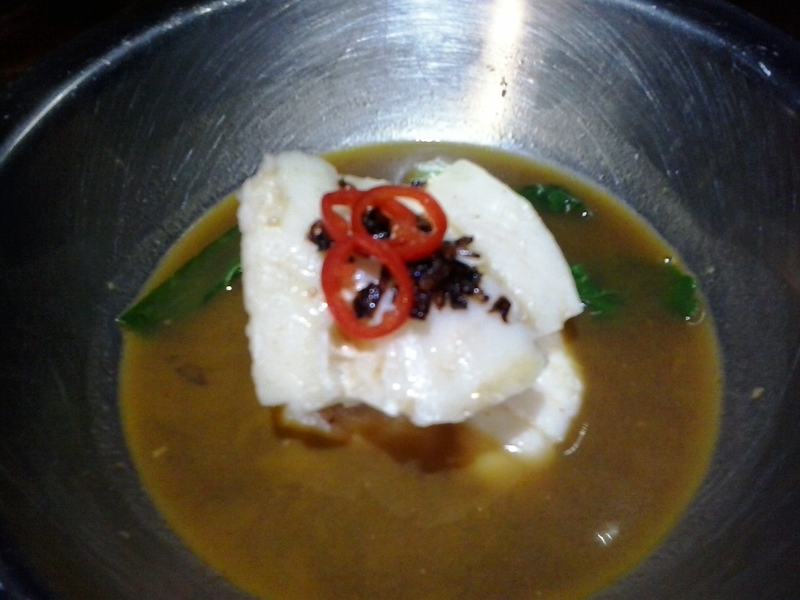 Then I steamed some beautiful Red Throat Emperor and ladled over the mildly spicy lemongrass soup. Top with some freshly fried shallots and a few chilli rings and you are done. 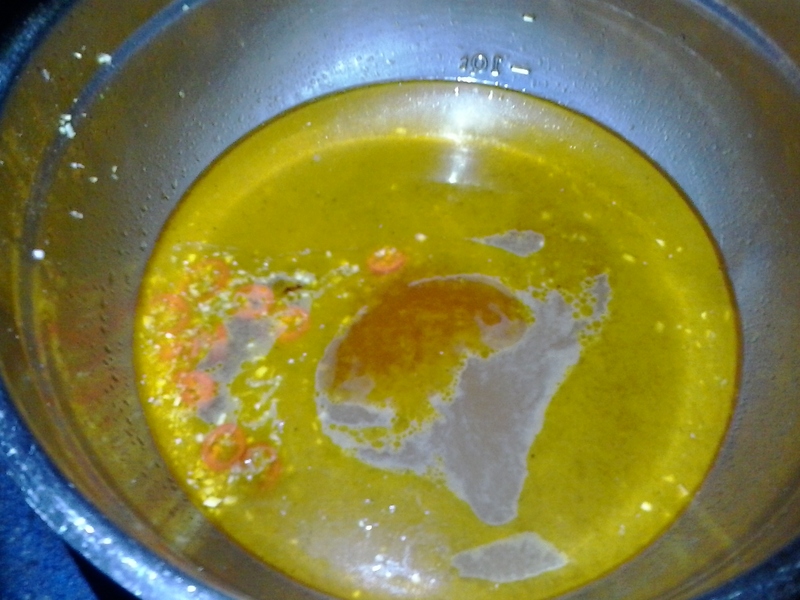 This entry was posted in asian, fish, Thai and tagged fish soup, food ninja, soup, thai. Bookmark the permalink.